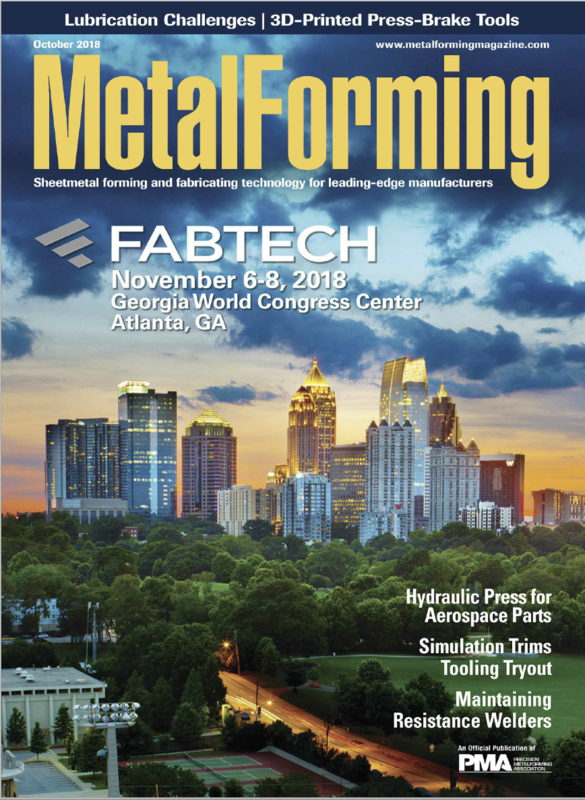 Weldmac Manufacturing Company is featured in the current issue of Metal Forming Magazine! Since its inception in 1968, Weldmac Manufacturing Company has taken the steps necessary to maintain success in the highly competitive aerospace industry. The 800-Ton triple-action press by Beckwood Press Co. represents Weldmac’s latest addition to expand its capabilities and distinguish itself from the competition. This new Beckwood press compliments an existing Beckwood hydroform press that was added to Weldmac’s shop in early 2016. The addition of the new Beckwood press was in response to the need to produce larger sized parts. Beckwood engineered this press for both Weldmac’s existing part family and future larger parts. The 800-Ton triple-action Beckwood Press includes a PLC for running in semi-automatic mode which makes operation of the press much easier and allows for repeatable consistent parts. 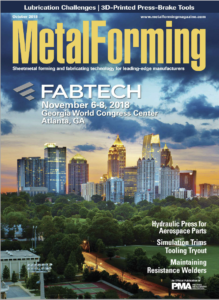 Weldmac has realized a 50% increase in capabilities but hopes to realize up to 70% increases due to the ease of use that programmability offers. The triple action press will machine form a variety of materials while reducing the risk of wrinkles or tears due to the ability to control material flow. The 800-Ton triple-action Beckwood press will help Weldmac handle problematic complex assemblies for its clients both now and in the future. For 50 years, Weldmac Manufacturing Company has been a fabricator of precision metal assemblies for aerospace and other industries. If you have an application that requires a high level of expertise, please contact us.